Rare to have this much space in town! 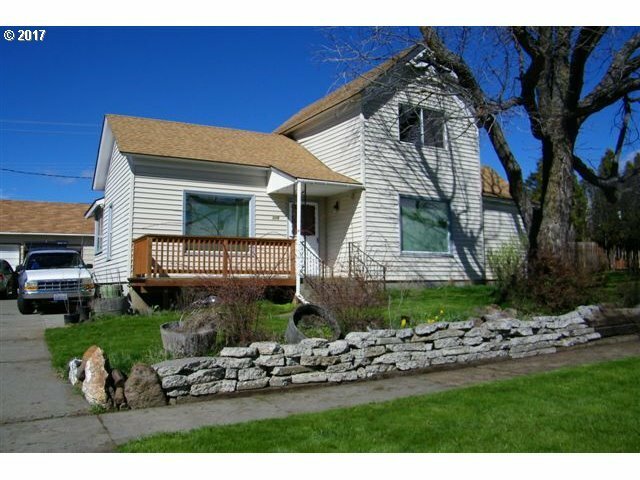 Generous size 1 1/2 story Victorian home with master bedroom on main floor, 2 car detached garage & shop, enough parking on concrete driveway for several vehicles or small RV. Patio & deck, space for garden, relaxation & play. Quiet street, close to shopping & downtown. Old black walnut tree provides natural shade and privacy for home. Apple trees, thornless raspberries, currants, old world charm.